Yes, Linda and Drew have now officially become husband and wife after eight years of a romantic relationship; they legitimately tied the knot of a wedding in front of 300 friends and family. 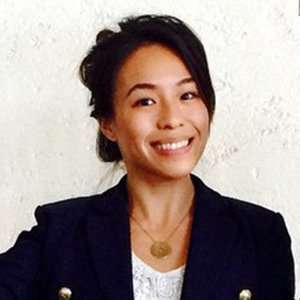 Linda Phan is an architecture and entrepreneur mostly known as the creative director for Scott Brothers Entertainment. The workaholic Linda is also popularly recognized for being the longtime girlfriend, later fiancée, and now the wife of renowned HGTV host Drew Scott. Linda as a creative director is accountable for developing innovative concepts for the growth of the company “Scott Brothers Entertainment.” in various platforms and merchandise lines. Linda Phan, who was born on 22 April 1985 in the United States, has three older sisters and a younger brother. It remains known that she belongs to American nationality, but the details of her parents remain confined. Linda, who stands at the height of 5 feet 2 inches, used to work as a barista at movie theaters. She started working for Drew and twin brother Jonathan’s company, Scott Brothers Entertainment shortly after meeting him in 2010. According to the company’s website, Linda, who possesses Asian-American ethnicity, manages multiple projects: from digital content, product and merchandise lines, to marketing campaigns and philanthropic efforts. She has even starred alongside Drew in a series of crafting videos. Moreover, she stars alongside Drew's brother Jonathan Silver Scott on Property Brothers at Home: Drew's Honeymoon House and is also actively involved in charitable campaigns. Linda, as a creative director of Scott Brothers Entertainment and a reality TV star, has undeniably amassed sufficient amount of wealth in her career. Her current net value is not apparent to the public yet; however, her husband Drew has a combined net worth of $20 million with his brother Jonathan. Linda Officially Tied the Knot of Wedding with Drew Scott! Linda Phan, age 33, is now officially a married woman. The creative director of SBE married her longtime boyfriend, The Property Brothers star Drew Scott, age 40, in a romantic wedding ceremony on 12 May 2018 in Italy. The couple, who had been planning their wedding and ‘charitable’ honeymoon ever since they got engaged, announced their marriage with their fans through an Instagram post shortly after the wedding. The duo took their vows in front of 300 guests, including family and friends who flew in from the United States, Latin America, Canada, and Scotland to attend the memorable wedding. Their wedding celebration later aired in a special on HGTV appropriately titled Property Brothers: Linda & Drew Say I Do. The wedding was planned and designed by Oany Ravelo: it started on 9 May with bachelor and bachelorette trips including a bicycle tour and cooking classes along with an Apulian style welcome party on May 11. Fashion designer Claire Pettibone was the one to design Linda’s ceremony and reception dresses, while Drew and his groomsmen wore outfits designed by Claymore Imports. The couple partnered with the non-profit organization Me to WE to tie their wedding with their passion for the charity’s mission to provide access to clean water to needed people around the world. Explore: Alanna Rizzo Bio: Unravel Age, Parents, Height & More | Who's Her Husband? The newly married couple first met at Toronto Fashion Week in 2010 and began dating shortly after their first encounter. Linda’s just married husband popped the marriage proposal to her back in 2016 with a gorgeous 1.2-carat diamond ring as an engagement ring. They enjoyed a surprise and secret engagement party with their close friends and family. Next up for the couple was the honeymoon, and it was anything but traditional for Linda Phan and her husband Drew. They made sure to leave a little of their love behind when they jetted home from their recent honeymoon. Instead of a typical island getaway or a European adventure, the newlyweds traveled to Ecuador with the Canadian charitable organization WE to build bathrooms, sanitation in a remote village in the Amazon. This is the second year in succession that Linda and her husband teamed up with WE to give back to the community. The couple had traveled to Kenya to help build up a small community with the organization in their first year working with organization WE.